Ghosn has led Renault since 2005. PARIS -- As Renault mulls who will succeed long-serving CEO Carlos Ghosn, the automaker appears to favor internal candidates -- but outsiders such a top Toyota executive and a former aircraft industry chief are also potential successors. Ghosn, who has led Renault since 2005, will be 64 this spring when his current contract expires. If he steps down, Ghosn would be leaving his post with Renault's profits and sales at record highs. Ghosn is more than just chief executive of Renault. He led Nissan's turnaround starting in 1999 when Renault bought a controlling stake in the ailing Japanese company. Ghosn was CEO of Nissan from 2001 until last April when he named Hiroto Saikawa as his successor. Ghosn is chairman of the board of directors at Renault, Nissan and Mitsubishi. He is also chairman of Renault-Nissan BV, the Dutch registered company that oversees the combined activities of the alliance. Renault's board has been interviewing candidates for the post, Les Echos reported last month, with the intention of naming a successor around the time Renault releases its 2017 results on Feb. 16. 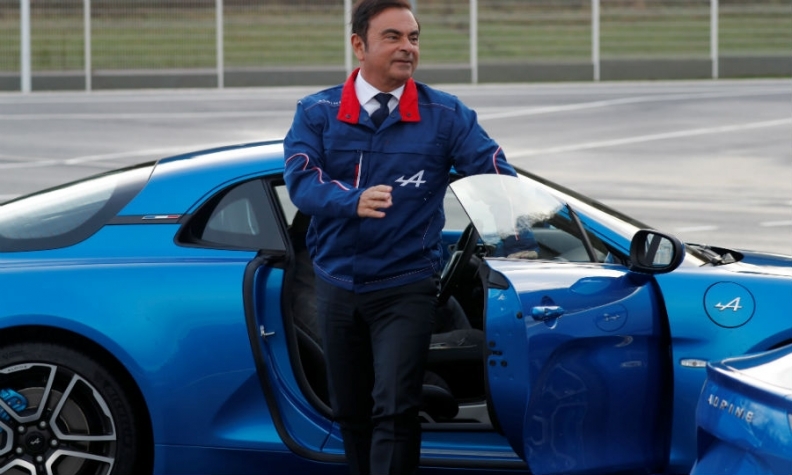 Ghosn is expected to continue to lead the overall alliance, Les Echos said. There is no clear successor to Ghosn. Two of his previous chief operating officers, Patrick Pelata and Carlos Tavares, left the company on unfavorable terms, and the current management structure does not include that position. 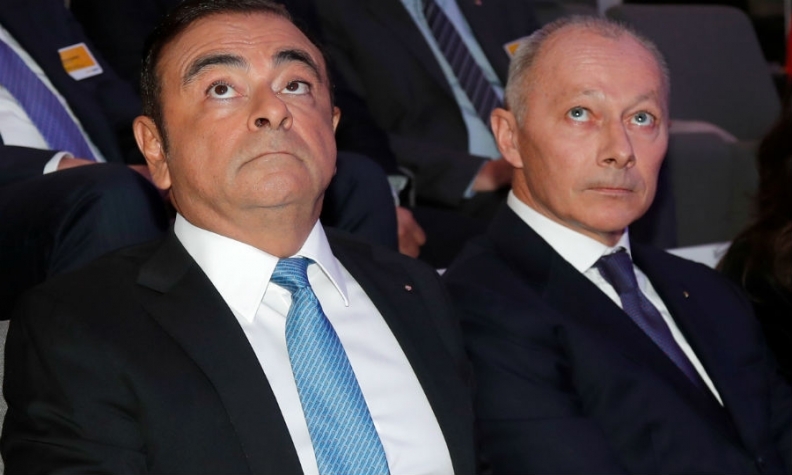 Any candidate to run Renault would also be a top contender to oversee the Renault-Nissan alliance after Ghosn. The person would also need the support of the French government, which owns 15 percent of Renault. Like Ghosn, Bollore, 54, began his career at Michelin, after receiving an MBA at Paris Dauphine University. His management responsibilities at the tire manufacturer included heavy-truck business units worldwide as well as tire production in Japan and Thailand. He also served as vice president for Michelin’s aircraft businesses. In 2005 Bollore joined Faurecia, starting as a vice president based in China. He rose to become head of global industry, quality and purchasing. In 2012, Bollore joined Renault as head of the manufacturing and supply chain, and became chief competitiveness officer the next year. Bollore, right, has quickly risen to a top position at Renault. Bollore also sits on the board of directors of Renault’s Russian subsidiary AvtoVAZ and Dongfeng-Renault in China. Mueller, 57, who is joint No. 2 at Renault with Bollore, has spent his entire career in the automotive industry. Mueller started at BMW in 1986, where his executive positions included director of dealer development for North America. He joined Ford in 1999, working at the Premier Automotive Group in London. Mueller then moved to Volvo, where he was president of Germany and the Central Europe region. He later worked at Volkswagen Group and was CEO of ADAC, the German automobile association. Mueller became head of Renault's Europe region in 2012, then was promoted to chief performance officer in 2016. Koskas, 54, is became Rnault's head of sales and marketing in 2016, after leading the company’s efforts in Argentina since 2012. Koskas graduated from the prestigious Paris School of Mines (Ghosn is also a Mines alumnus) and worked in the French government before joining Renault in 1997. He was named director of sales and marketing for Asia and Africa in 2006, and in 2009 he became head of electric vehicles, where he led development of Renault’s current electric lineup, including the Zoe hatchback. Munoz, 52, has a doctorate in nuclear engineering from the University of Madrid. He worked at Daewoo Iberia and Toyota Motor Europe before joining Nissan in 2004 as director of dealer network development in Europe. Munoz held various management positions for Nissan in Mexico and the United States before being named executive vice president for North America in 2014. In 2016, he was named chief performance officer. Earlier this year he relinquished his post at Nissan North America. A number of semi-outsiders have also been floated as possible successors. They include Didier Leroy, an executive vice president at Toyota Motor Corporation, who has extensive global and European experience, including at Renault; Patrick Pelata, the former chief operating officer at Renault, who was ousted in 2011 after what was seen as a mishandled investigation into corporate espionage, and is now a consultant; and Fabrice Bregier, the former chief operating officer of Airbus, who left the company in December after failing to receive the backing of the company’s board in his bid to become chief executive officer. Finally, there’s another Carlos, with deep ties to Renault. Carlos Tavares, the CEO of PSA Group, was Ghosn’s No. 2 before leaving in 2013 after publicly expressing his desire to run an automotive company on his own.